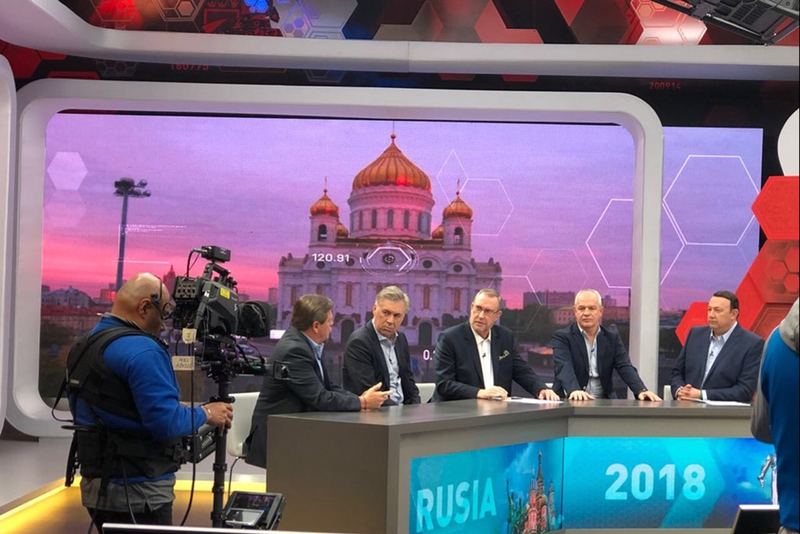 Televisa, based out of Mexico and one of the largest largest TV Networks in the world, broke new ground in their 2018 FIFA World Cup coverage, producing from the largest studio in the International Broadcast Center constructed in Moscow for the games, plus a second studio located in Red Square. NewTek IP production technologies played a significant role, all based around NewTek’s royalty free NDI®, bi-directional technology for IP transport of video, audio, metadata and communications over standard networks. 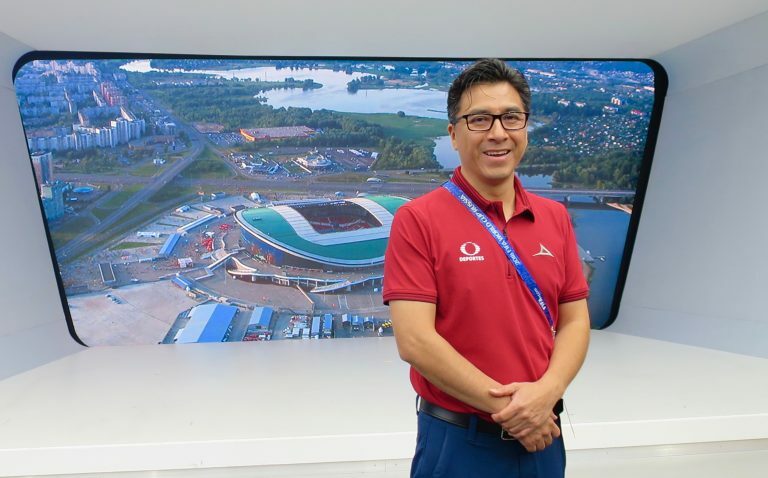 Televisa’s Sports Technology team, led by project manager and engineer Eduardo Ledesma, also introduced augmented reality (AR) technologies and programmable displays to enrich their programming content, providing a wide range of looks for the various productions. 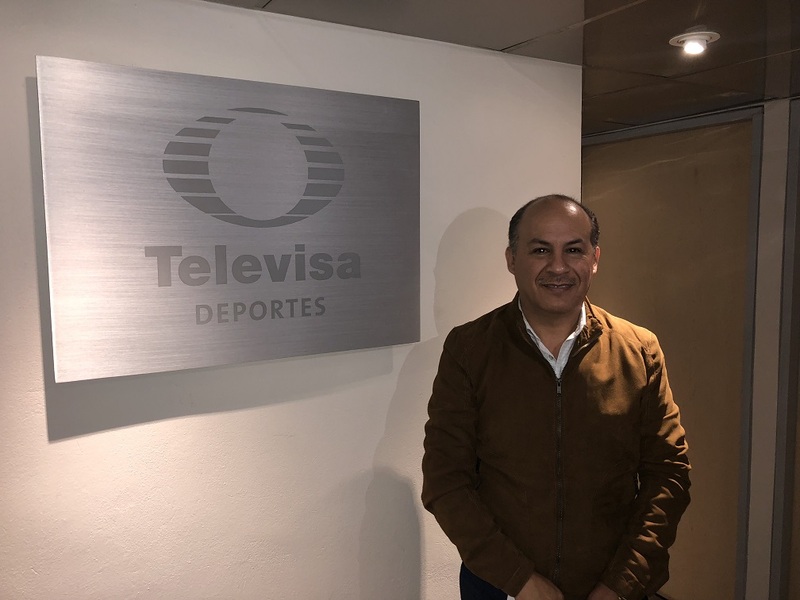 Eduardo Ledesma, Sports Technology Group project manager for Televisa. The Red Square facility produced all programming with the NewTek IP Series 4K 60p 44-input integrated multi-camera modular production system, two NC1 Studio I/O modules and a NewTek NDI PTZ1 camera, in addition to other broadcast equipment and software. The IP series VMC1 vision mixer features integrated graphics, keying, media players and animated buffers. The NC1 Studio I/O modules multiply the physical inputs and outputs to the VMC1, with 8 3G-SDI/HD-SDI/SDI connectors freely configurable as inputs or outputs, plus up to 8 NDI inputs and outputs. An additional NC1 Studio I/O module was located in the larger studio. All the NewTek components use NDI to exchange video, audio and control, for an All-IP workflow. For this production NDI video was transmitted and received between the two studios, and also between each studio and the home broadcast facilities in Mexico. Televisa chief engineer Victor Galindo in the Televisa studio at the International Broadcast Center. Vizrt software powered the graphics and AR. Many Vizrt tools are also are NDI-enabled, which can eliminate the need for dedicated signal conversion devices and baseband cabling between the graphics systems and the switcher and other production systems. WASP 3D and Stype camera tracking kits completed the AR pipeline, allowing graphics to be mapped into the video in 3D space. In addition to Televisa’s broadcast channel, they also delivered a daily show on Facebook Live offering behind-the-scenes content, training sessions, interviews, and highlights. Behind the cameras in the Televisa studio at the International Broadcast Center.